A warm hug on your fingertips. Note(s): This nail polish is part of the Muppets Collection that came out this month to coincide with the new Muppets movie. Already amazing in the bottle! The standard OPI logo on the cap. A wide brush that's very easy to work with. This is a hard color to describe. The photos don't really give this one justice. 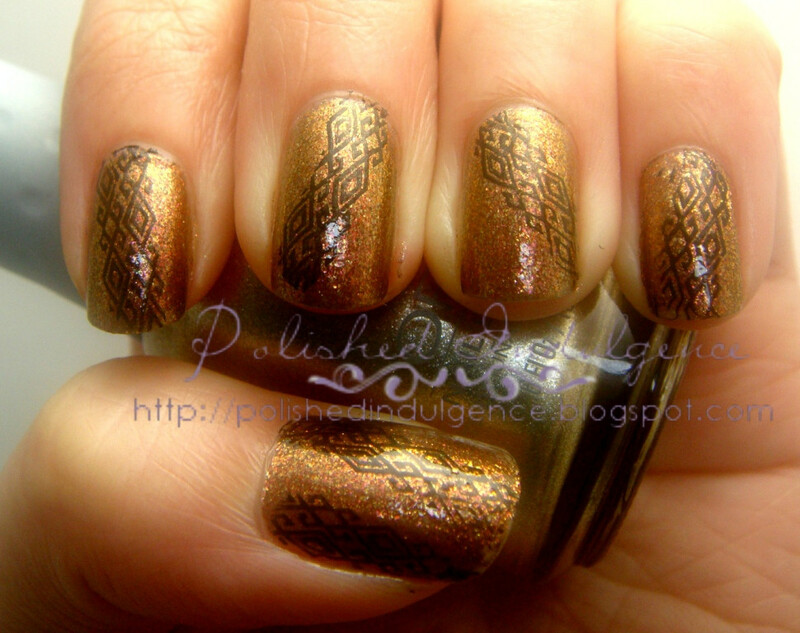 It's a nice warm coppery bronzey shade that is more complex than it looks. The gold, pink and rust colored glass flecks add a depth to the color that make it look like a coppery bronze. In bright lights, you'll see a more gold tone to it. In some angles, you'll even see some olive hues at the edges. This sure isn't your run off the mill bronze. There's a warmth to it from the brown and the pink tones that contrasts really well with the metallic finish. Warm and Fozzie just shines, drying with a nice smooth finish. With or without topcoat, it catches the light well and reflects like crazy. I'd say it was a good call to name this after one of the more famous Muppets, Fozzie, whose character is quite like this particular color. Fozzie was originally voiced by Frank Oz, who also lent his voice to Miss Piggy. While most people thought he was named after him, the Muppet was in fact named after the man who created the mechanism that enables Fozzie to wiggle his ears, Faz Fazakas. He shares the seeming contradiction that Warm and Fozzie has (the warmth of color with the cold metallic finish) in that while he's a bear and completely covered in fur, the hat he wears covers a bald head (hairy yet hairless or more appropriately, furry yet furless up top). ***All nail swatches were done with Nail Tek II Foundation Base Coat and two coats of OPI Warm and Fozzie unless stated. Gold highlights with a warm brown base. 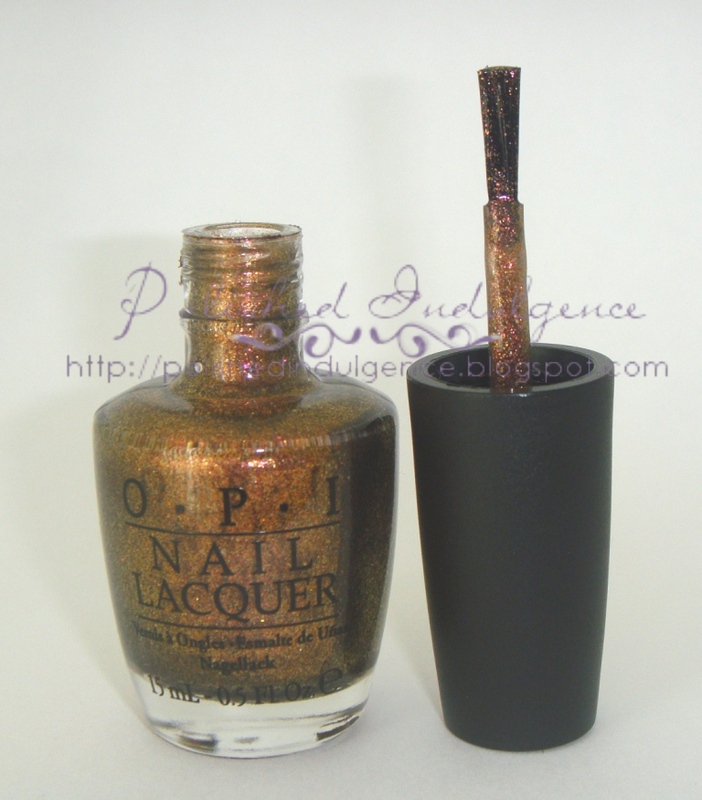 I can't gush enough about the OPI wide brush! I can do two strokes to completely cover my entire nail, even just one for my pinky. It's wide but not to the point where it's unwieldy. It can still get into the nooks and crannies just fine while giving you a nice even application. It's foolproof, I tell you. 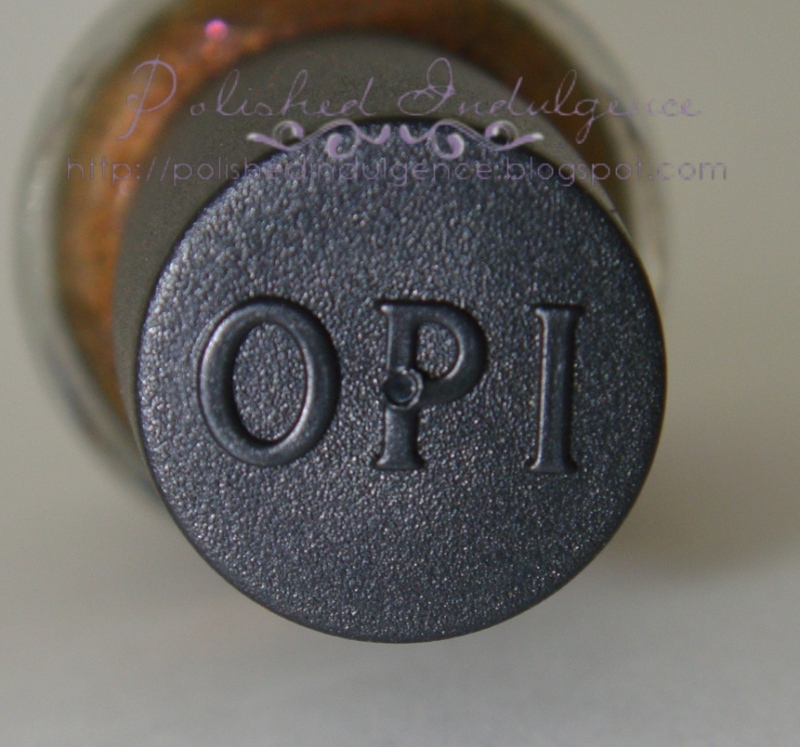 It also helps a lot that the formula of most OPIs are impeccable. 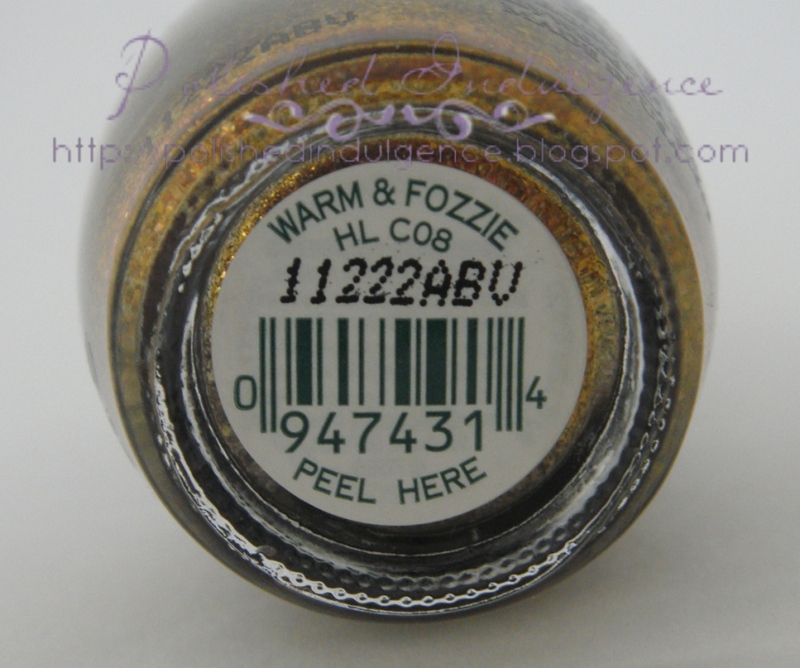 Warm and Fozzie is no different although it is a little on the watery side so it's best to apply thin layers compared to laying on thick and risking flooding your cuticles. I probably could've gotten a deeper color with a third coat but it was completely opaque in two. 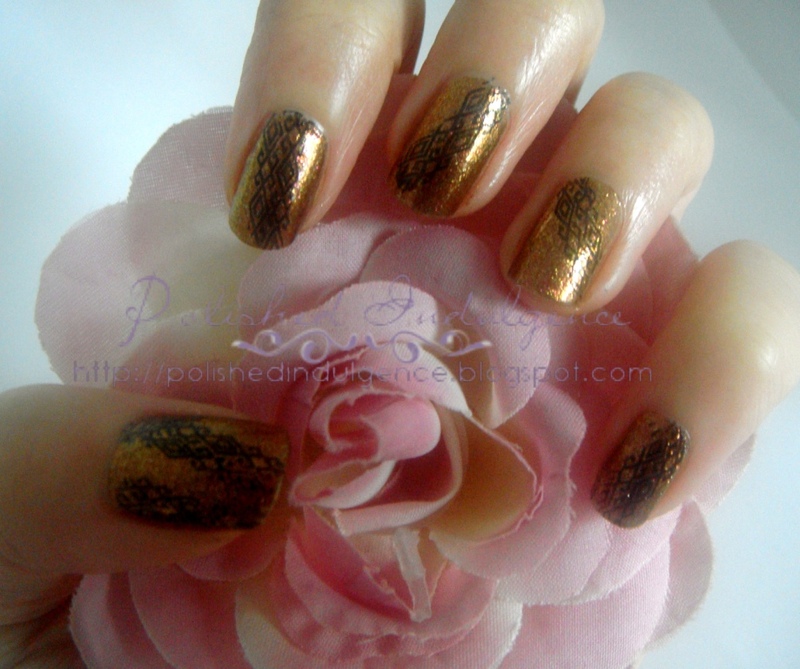 Removal is similar to any removal with metallics or foils. The tiny glass flecks tend to stick to the skin but it's nothing compared to glitter removal. Dry time is fairly quick in that by the time you're done with the last nail on one hand, the first nail you painted is already dry to the touch. Hammie says: More shiny, please? Hammie says: Love the speckled look! Notice how top coat didn't really change the amount of shine you get? If any, I think it was shinier *without* top coat! Now, I had to spice things up a bit in honor of my Dad's birthday. He's a huge car buff so I thought it would be cool to incorporate that into the design. Instead of going with the obvious and drawing actual cars, I decided to go the easy way with some black polish (Wet n Wild Fast Dry in Ebony Hates Chris) and Bundlemonster plate #213. With the car that left the tracks. As this is a new collection, availability shouldn't be an issue. I've seen this at most beauty supply stores that carry the Muppets Collection although I wouldn't be surprised if this is the first in the collection to sell out (this is easily my first pick over Rainbow Connection that has a lot of cheaper and widely available dupes). I've seen nothing like this polish. I doubt there's any dupes out there and a quick search confirmed it. I got my bottle when Nail Polish Canada had it on sale for $9.50 (if I bought it at Trade Secrets I would've paid something like $11.25 with taxes so it was still about $2 worth of savings) and it's a $9.50 well spent. I've half a mind to purchase a back up and a back up to my back up. I love it that much. I've worn this the most out of the newest polishes I've acquired. I never thought I was a brown or bronze fan, but this is just so pretty it's hard to say no. Does Warm and Fozzie make you feel warm and fuzzy? What's your favorite from the Muppets Collection? Are you a big Muppets fan? Hammie says: Happy Birthday, Daddy Carmela!!! Posted by Carmela at 7:00 a.m.
Marta November 11, 2011 at 9:23 a.m. Happy Birdthday to your Daddy! 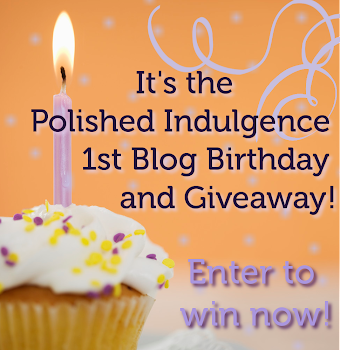 Your stamping is super fun! I actually thought you sponged on a different colour! (till I read more). Great post! Carmela November 11, 2011 at 10:38 a.m.
Beauty Reductionista November 12, 2011 at 9:53 p.m. I was digging this polish from all the pro pics and pre-release swatches, but I decided to say the hell with the damn Muppets. I hated the whole lot of them and I don't care for the collection. Glad you're enjoying, though! Happy bday to your dad! Carmela November 13, 2011 at 2:37 p.m. I do applaud your tough stance on lemmings! Sure makes it easy on the wallet. I've been starting to apply some of your reductionist practices but I just can't do it with nail polish. It's too much like Pokemon: gotta (catch) 'em all!